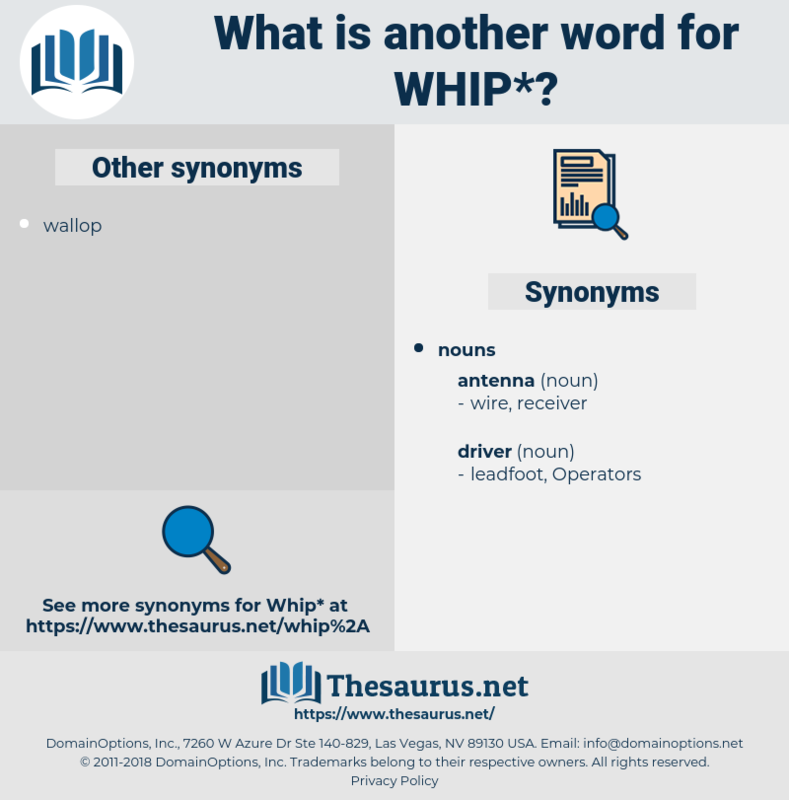 What is another word for whip? To punish with a whip, scourge, or rod; to flog; to beat; as, to whip a vagrant; to whip one with thirty nine lashes; to whip a perverse boy. hits, afflicts, bites, twists, rotates, pertains, infects, confronts, spins, receives, Affects, bends, revolves, Ticks, reaches, drops, Sours, Travels, rolls, earns, falls, runs, goes, gets. go down, go under, fall. fail, yield, start, give up, retreat. compliment, surrender, protect, lose, praise. I tried to whip it out of him. 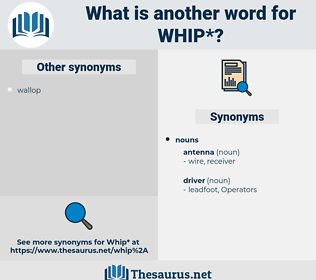 What do you want the whip for, then? cowhide, horsewhip, knout, strap, riding crop, quirt, cat-o'-nine-tails, cat, scourge, hunting crop, flagellum. thrash, thresh, thresh about, slash, jactitate, convulse, toss, thrash about.